The Gold Coast is globally recognised as a leading surfing region with world class surf breaks, three National Surfing Reserves and is home to many of the world’s best surfers including Mick Fanning, Joel Parkinson, Occy, Steph Gilmore – the list goes on and on. As the only Australian surf/wavepool technology company it made sense, from a strategic and practical perspective for Surf Lakes to establish our global head office on the Gold Coast. On the 26th Feb 2019, we formally announced that we will retain the Gold Coast as a company owned territory, rather than licensing it off to a third party. Within this area we intend to develop our own full scale, commercial “5 Waves Surf Lake” facility. We have already taken many steps towards making this happen including meetings with the local council and tourism bodies, who are very supportive. We have also looked at several potential sites and have selected the one we believe to be the best fit. We will shortly begin work to gain the necessary approvals and then construct the 5 Waves facility and surrounding commercial infrastructure to support a world class surfing venue. We will also operate this site and it will serve as our global HQ and training facility, where new licensees come to learn all aspects of operations before their facility opens. Our aim is to make this site a genuine show piece not only for our technology but for the Gold Coast as well. We aim to commence construction in late 2019 or early 2020, with a view to opening in late 2020 or early 2021. 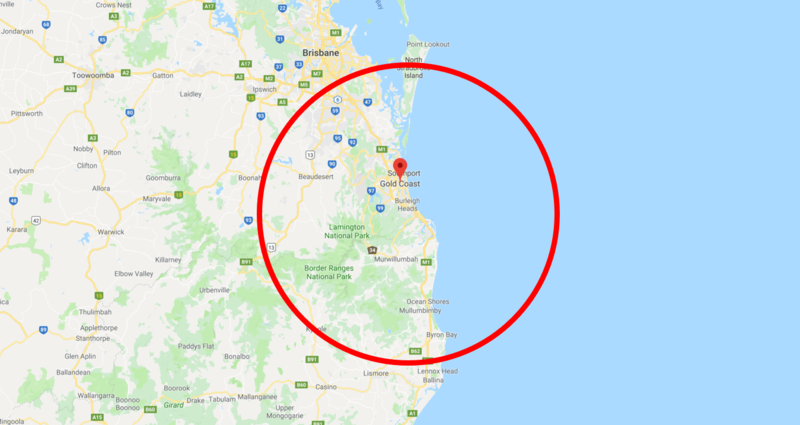 The boundary is centred in the middle of the Gold Coast and extends out to a radius of approximately 50km to encompass the southern region of Brisbane to the north, down to Bryon Bay in the south. In terms of accessibility, most located within this boundary can reach the Gold Coast within a 45min drive. This leaves most of Brisbane, Ipswich and the Sunshine Coast as separate territories that can be licensed off. In 2017, the Gold Coast had 13m tourist visitors. We estimate that less than 1% of this number surf when they visit the Coast, whether they are regular surfers or by taking a surf lesson. In 2018 the Quicksilver Pro Gold Coast attracted a crowd of around 40,000 people. The financial contribution from each event is estimated to have been around $4.3m for the Coolangatta area. A world class surfing event, which could be run at a Surf Lakes over the course of a weekend (as its not weather or swell dependant), could attract a crowd of 10,000 or more. If each spends an average of $50 on entry, food and products, the revenue from such an event could be $500,000 over a weekend. This doesn’t include sponsorship or broadcast rights. There are 100 primary schools and 21 secondary schools on the Gold Coast. Of these 120 + schools, only 2 offer Surfing as a school sport. All offer sports such as swimming, athletics, netball and soccer. We believe that with a safe, consistent and controlled environment that our facility can offer, many more Gold Coast schools will add surfing to their curriculum as a regular sports activity, as well as holding interschool and interstate surfing competitions at our venue, as they do with every other sport. There are many surfing teams, which include corporate teams such as Billabong or Quicksilver. Or national teams. They all spend many thousand of dollars sending the teams to different parts of the world to train and improve. This is another potential source of revenue for the Gold Coast facility. The facility can be used to house corporates events as well as private celebrations whereby a group hires out a surf break for a hour or a day, along with catering and conference facilities. According to the 2015 Theme Entertainment Association Report, Wet & Wild Gold Coast attracts 1.2m visitors per annum. Based on this, a unique surfing facility on the Gold Coast should be able to achieve 600,000 visitors per annum. This would be a combination of beginner surfers, regular surfers, non-surfers (family members), competitors, spectators and beach goers. Anticipated revenue on 600,000 attendees per annum are estimated to be at least $42M per annum. Venue for surfing competitions of all levels, from local schools and juniors, through to world class events for all surf craft including longboards, bodyboarding, SUP and more. A Gold Coast surfing museum. In 2018 the WSL Quicksilver Pro Gold Coast attracted 40,000 visitors over the 5 days of competition. Funding of the construction, which will cost between $30m and $40m (including land and surrounding infrastructure), will be a mix of equity and crowd funding. Debt could also be an option. We will also seek Government assistance. We will operate the venue, as well as managing the surf sessions in the lagoon and learn to surf. It is anticipated that surrounding amenities and retail establishments, such as cafes and shops, will be leased out to independent operators.